Noni tea, a folk medicine and herbal remedy, comes from noni, a shrub or small tree also known as Great Morinda or Indian Mulberry. Noni, native to Southeast Asia, produces fruit throughout the year and grows along rocky shores and in forests. Noni tea utilizes the large leaves of the noni shrub, as well as the fruit, seeds, roots and bark, according to CrazyforTea.com. You may reap several health benefits by drinking tea made from noni leaves or noni juice. You may prevent cancer by drinking noni tea, according to Sunfoods.com. Compounds found in the noni fruit and noni tea improve the immune system and help fight cancer by stimulating white blood cells. In addition, a compound called xeronine that is found in noni promotes cell structure health and regeneration. The American Cancer Society reports that no scientific evidence exists to substantiate these claims; however, some research studies indicate a correlation between compounds in noni and the formation of cancerous tumors. Drinking noni tea may benefit your skin, reports Sunfoods.com. Noni fruit, from which noni tea is made, contains antioxidants, like selenium, which improve the elasticity of your skin and promote the health of your skin. The National Institutes of Health Office of Dietary Supplements indicates that selenium combines with protein in your body to create selenoproteins, which may prevent free radical damage to your cells, including the cells contained in the skin of your face. No scientific evidence exists to prove that noni has benefits to skin health. A benefit of noni tea includes improved digestion, according to Sunfoods.com. The Consumer Health Organization of Canada reports that noni fruit extracts trigger serotonin receptors, a compound found in your brain and the lining of your digestive tract. 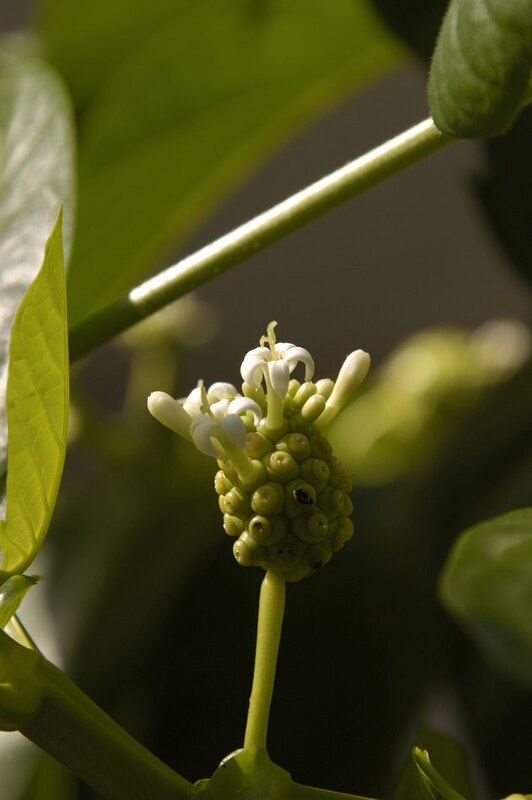 Serotonin regulates digestion, which makes noni tea beneficial in the treatment of digestive problems like diarrhea, nausea and vomiting, intestinal worms and food poisoning. No scientific evidence exists to support noni tea's effect on digestion.